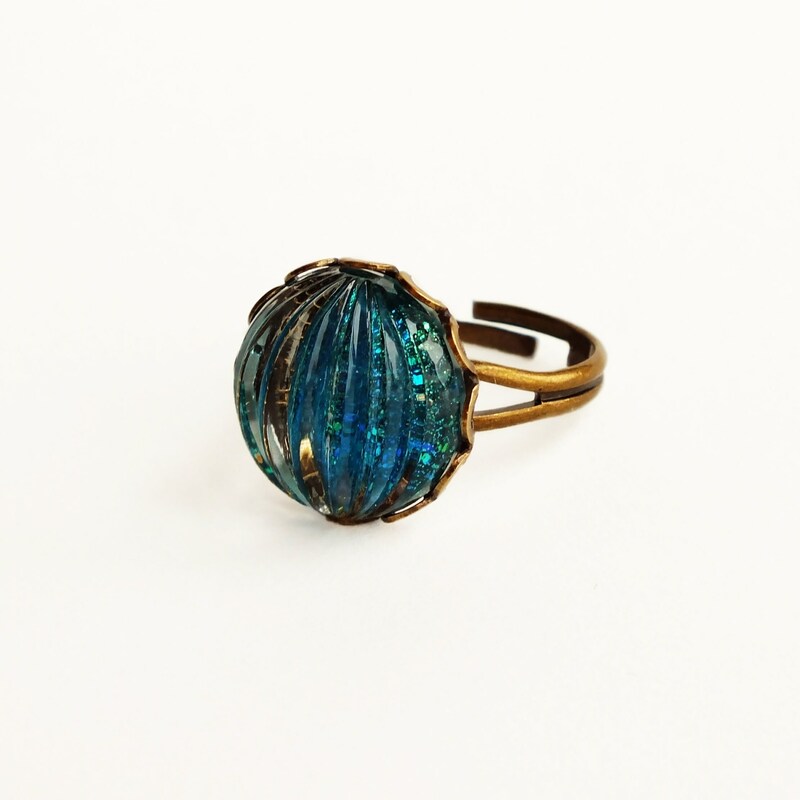 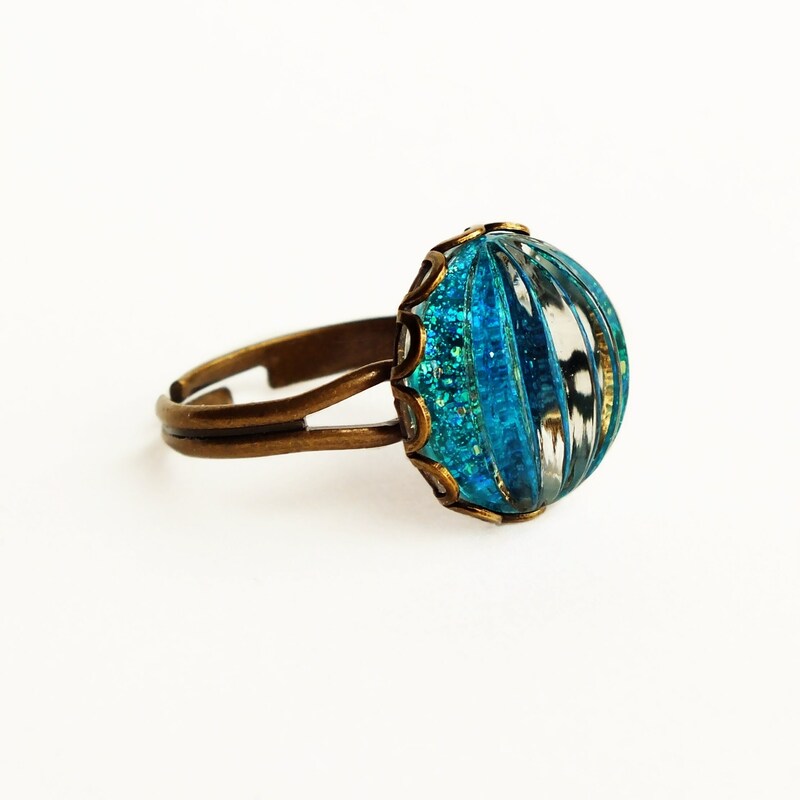 Handmade blue green ring with vintage glass cabochon and adjustable brass band. 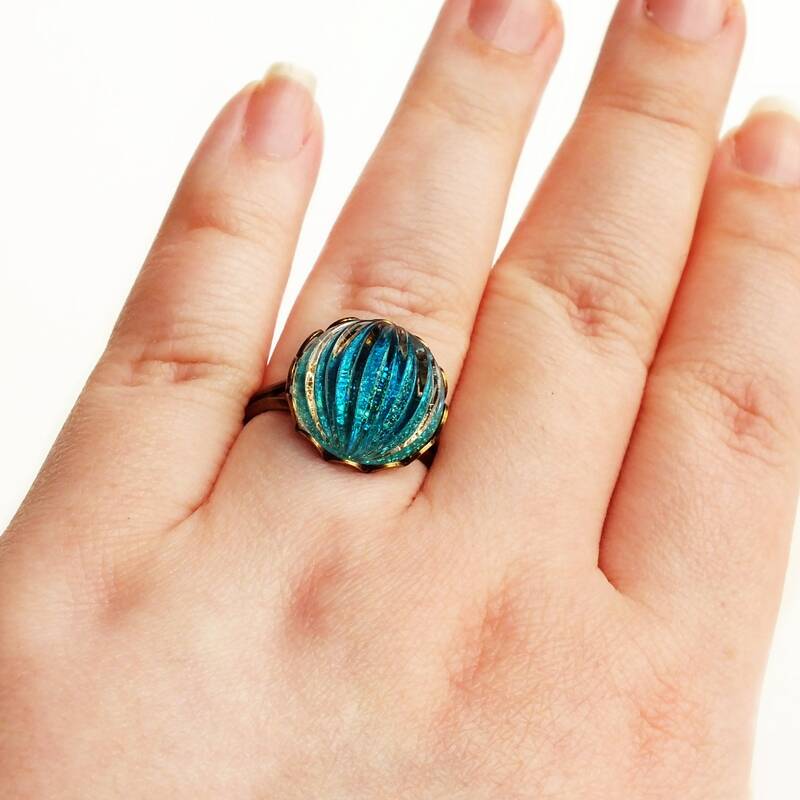 Glass is 5/8 inch - 15 mm. 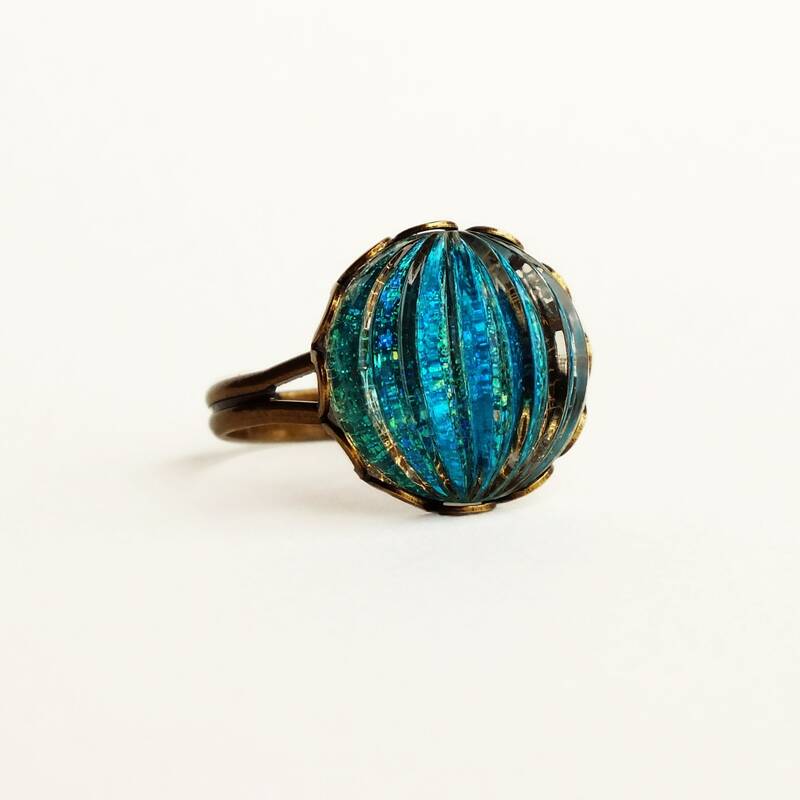 Made with a clear ribbed and domed glass cabochon with a concave back I reverse painted with layers of glitter in an ocean palette. 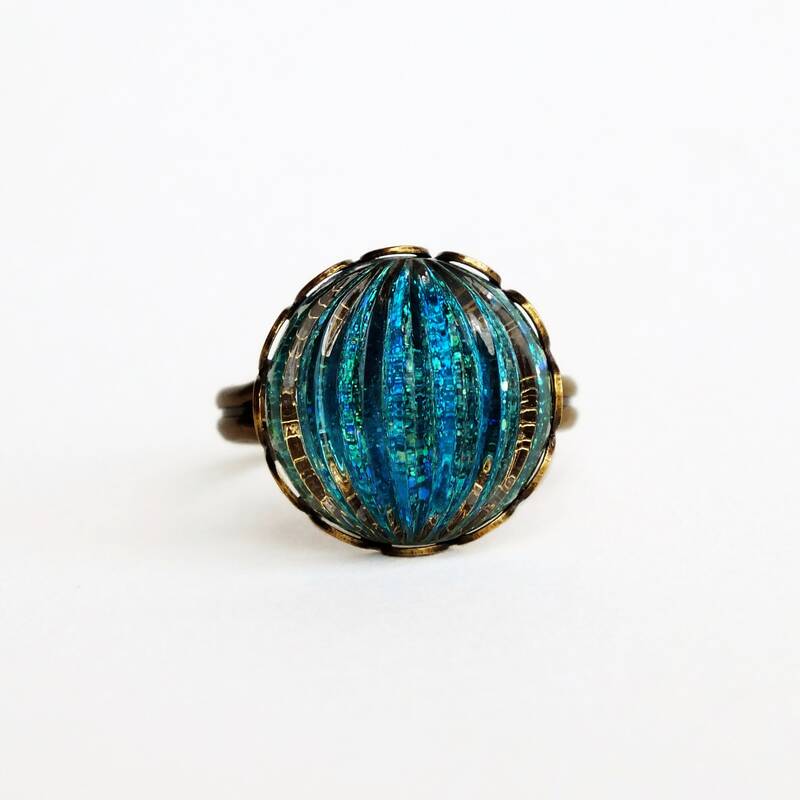 I set it in a lacy antiqued brass settings secured to an adjustable antiqued brass ring.